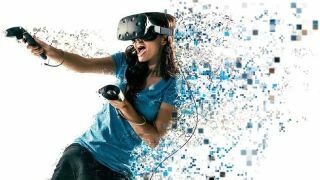 Mozilla's open-source web browser will soon be compatible with virtual reality headsets, as Firefox's big update Tuesday adds support for both the Oculus Rift and HTC Vive. Dubbed Firefox 55 and launching August 8, the upgraded web browser for Windows PCs will now include WebVR — the platform that allows web browsers to function with VR headsets. Competing browsers like Google Chrome and Microsoft Edge added WebVR support earlier this year, so Firefox isn't too far behind the trend of adding support for VR content over the web. However, VR isn't the only feature coming with Firefox 55. In addition to the usual stability and security updates, the latest version also includes Firefox Screenshots — a new way to capture images on your screen, edit and export them in a shareable format without leaving your browser. While expected to debut tomorrow, it's worth noting Firefox 55 may still take some time to roll out to everyone. That said, it should finish well before September 26, when the next major update of Firefox is expected to release. HTC Vive vs Oculus Rift: Which headset is for you?